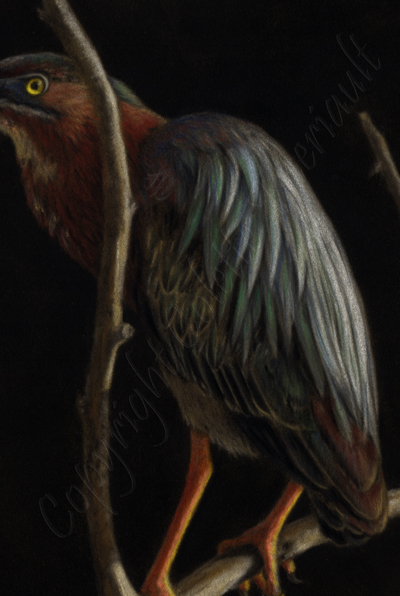 This original pastel painting is for sale. To enquire or order your dog, cat, horse or small domestic animal pet portrait from photo, image or picture, please contact the artist. 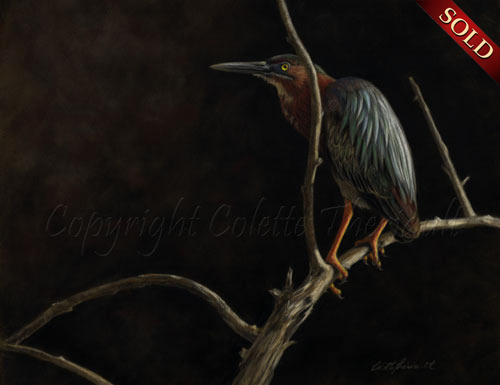 The green heron is a colorful little bird and one of the smallest of herons. The iridescent feathers on the back usually shine blue but in certain light, the feathers are green.